It never fails, when the subject of the morality of lying arises in a discussion, that someone will propose the scenario of lying to Nazis to save Jews. You are hiding innocent Jews in your home. Nazis arrive at your front door, seeking to murder those innocents, and they ask you if you are hiding any Jews in your house. This hypothetical is not new. Saint Augustine considered the question as to whether it is moral to lie to murderers in order to save innocents. The “lying to Nazis to save Jews” scenario is simply a more recent version of that question. And it does not matter, to the morality of the question, if it is extremist Muslims seeking to murder moderate Muslims, or terrorists seeking to murder school children, or the Khmer Rouge seeking to murder doctors and teachers. The basic scenario is the same: murderers ask you if you are hiding innocents, and you in fact are hiding them. Is it moral to lie in that situation? The classical answer of moral theology is that of Saint Augustine and Saint Aquinas. The answer of Sacred Scripture is also very clear, all lying is to be rejected. For God is Truth, and Satan is the father of lies. See my post: What does Sacred Scripture say about the morality of lying? The teaching of the Catechism of the Catholic Church is that lying is wrong by its very nature (CCC 2485). Does this assertion imply that lying is always wrong? Yes, for the Magisterium teaches that acts which are wrong by their very nature are intrinsically evil and therefore always immoral. Consequently, no evil done with a good intention can be excused. If acts are intrinsically evil, a good intention or particular circumstances can diminish their evil, but they cannot remove it. They remain “irremediably” evil acts; per se and in themselves they are not capable of being ordered to God and to the good of the person. It is not moral to commit even a small sin, in order to obtain a great benefit, nor to avoid a great harm. God said to Saint Catherine of Sienna that one should not commit the smallest sin, not even to redeem the whole world from Hell. It is not moral to lie in order to save someone from eternal damnation, so it is also not moral to lie in order to save someone’s life. For all those innocents who die at the hands of murderers will have eternal life in heaven; all is not lost for them, even if the murderers succeed in killing them. All true innocents go to Heaven. But if you sin for any reason, you offend God and you are not entirely innocent. Be innocent, like the innocents that you are hiding from murderers, and reject all lying. The moral teaching of Scripture and the Church is clear. Lying is intrinsically evil and therefore always immoral. But there is also a practical argument to be made here, which offers several reasons why this scenario does not work to justify lying. No one ever uses this example to assert that lying is only moral in extreme situations. They always quickly move on to justify all the convenient little lies of their ordinary lives: lying to one’s spouse to avoid hurt feelings, lying to their children to obtain some type of behavior, lying to one’s boss at work to avoid getting in trouble, lying to the government to obtain some type of benefit, and so on. See the problem? The extreme example of lying to murderous Nazis to save Jews is merely a pretext to justify lying to virtually everyone around you for virtually any reason. It is reprehensible to use the severe harm of the Jewish holocaust as a way to justify all the convenient little lies of your life. Even if lying were moral in the extreme hypothetical, the conclusion that all other lies can be justified by any good intention or by any difficult circumstance does not follow, and is contrary to magisterial teaching. Nazis come to your door and ask you if you are hiding Jews. You lie and say: “No.” And then the Nazis just go away. They totally take your word for it, because they trust you and are also very gullible. Yeah, right. Is that really how the scenario would play out? Not at all. They are going to search your house no matter what you say. They are not going to take your word for it. They will search your house anyway. Lying will not save lives. Lying will not make them go away. 3. How well can you lie? It is easy (but still immoral) to lie to children. They tend to believe whatever they are told. But you are not going to convince Nazis to refrain from searching your house by one lying word. Nazis are not naïve. They will regard your every answer with great suspicion. They have no inclination to believe anything you say. And they will not accept a simple one word answer. They are going to question you at length: “Are you hiding Jews in your house? Have you seen any Jews in this area? Have you ever known any Jews in your life? Do you know of any businesses owned by Jews in this area?” And so on. So, if you choose to lie, you are going to have to tell one lie after another: sentence after sentence, explanation after explanation. How well can you lie? If you lie badly, so that they detect that you are lying, they will realize that you are hiding innocents in your house, and they will not stop searching until they find them. Lying incompetently will result in the deaths of innocents. So, how well can you lie? This is not an ordinary conversation. You are under duress. There is a literal gun to your head, or to the heads of your wife and children. If you lie and the Nazis realize you are lying, people will die. They will kill the innocents that you are hiding and your whole family. Even if you are an experienced actor or actress, capable of an Oscar-worthy performance, you might not be able to lie convincingly while they point guns at you and your family members. There are no second takes. They will scrutinize your every word, tone of voice, facial expression, and the wording of every answer. And if they even think for a moment, if they even detect the slightest indication, that you might be lying, they will not stop searching until they find the innocents you are hiding. By lying, you are betting the lives of everyone in your home that you can lie so convincingly, under extreme duress, that wicked persons who regard you with great contempt and suspicion will be convinced. If you lie unconvincingly, they will realize you are lying and that the opposite is true: you are hiding innocents in your home. Lying is more likely to result in the deaths of everyone in your home. You are not that good of an actor. You are not that clever in your lying answers to intense questioning. By lying, you are not only committing the sin of lying, you are committing the sin of endangering innocent lives. In the face of extreme evil, such as Nazis seeking to murder Jews, you should consider silence as one of the best options. Jesus was silent before Herod. He said not a word to that evil man. Mental reservation is not intrinsically evil. In ordinary difficult circumstances, you might morally use mental reservation. But in the extreme scenario of murderers seeking innocents, the same practical problem arises with mental reservation as with lying. If they detect that your answer is misleading, you will have given away the innocents. If the wording of your answer is not exceedingly clever and convincing, despite being thought up on the spur of the moment, you will have done more harm than good by inadvertently indicating that you are hiding innocents. It is better to remain silent. Let them search the house, and hope that the innocents are hidden well enough not to be found. If the murderous Nazis find that you are hiding innocents, they will likely kill you and your family as well. Everyone in your home is in danger of being murdered. So it is moral to use deadly force against Nazis who come to your home to murder everyone. But many commentators object to the idea of using violence against murderers who come to your home to kill innocents. The same commentators who insist that the “lying to Nazis to save Jews” scenario justifies almost any lie, object strongly to the use of violence to save those innocents. Why? If the context of the question were not lying, but rather when killing constitutes self-defense rather than murder, would not this scenario be accepted as a clear case of self-defense? It is more clear as an argument for killing in self-defense than for lying. But they object strongly to the killing of murderous Nazis because it disarms their excuse for all the little (and big) lies that they wish to tell in their own lives. 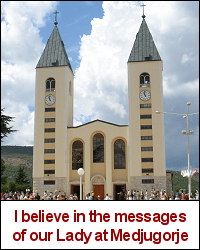 The Catholic religion is based on both faith and reason. However, faith is greater than reason. If the Faith teaches that lying is always immoral (and it does), and if you are a person of faith, then you will set aside your own reasonings and give the teachings of the Church the religious submission of mind and will. The problem is that most Catholics, even those that seem devout, still put their own ideas and reasonings above Church teaching. And that is why the great apostasy is near. A wise man is no better than a fool, unless he is also brave. Have the courage to reject the majority opinion of your peers and your own reasonings, when the teaching of the Church is to the contrary. A person tells a Nazi that he is not hiding Jews. In that stressful agonizing moment, the person may not realize they are committing a grave sin of lying to save lives. I can’t even imagine any person in that very stressful moment to be in full knowledge, both of the sin and of the gravity of the offense and being condemned to Hell, with deliberate and complete consent. The Nazis proceed to kill him and find the Jews and kill them. The person that lied, how will God judge him? Even if a person commits the sin will full knowledge of the gravity of it, the person could in his mind immediately afterwards be remorseful and ask God forgive me for committing this sin, just before he is executed. Would this person be still condemned to Hell? Lying to save lives can be a mortal sin, such as if a person denies being a Christian in order to save his own life. But it can also be a venial sin. The oft-cited scenario of lying to Nazis to save Jews would be a venial sin, unless some additional intention or circumstance made it mortal. In the more general case of a person who commits any actual mortal sin, he can return to a state of grace before death and be saved from Hell, if he repents with perfect contrition, i.e. sorrow for the sin out of love for God and neighbor. There is no question that lying is an evil, an intrinsic evil, and it will always be a sin and its gravity dependent on the situation. The question I put to you : Are we not sometimes faced with situations where we must choose between lesser evils ? ”If it is true that all Catholics are obliged to oppose the legal recognition of homosexual unions, Catholic politicians are obliged to do so in a particular way, in keeping with their responsibility as politicians. Faced with legislative proposals in favour of homosexual unions, Catholic politicians are to take account of the following ethical indications. When legislation in favour of the recognition of homosexual unions is already in force, the Catholic politician must oppose it in the ways that are possible for him and make his opposition known; it is his duty to witness to the truth. If it is not possible to repeal such a law completely, the Catholic politician, recalling the indications contained in the Encyclical Letter Evangelium vitae, “could licitly support proposals aimed at limiting the harm done by such a law and at lessening its negative consequences at the level of general opinion and public morality”, on condition that his “absolute personal opposition” to such laws was clear and well known and that the danger of scandal was avoided. (18) This does not mean that a more restrictive law in this area could be considered just or even acceptable; rather, it is a question of the legitimate and dutiful attempt to obtain at least the partial repeal of an unjust law when its total abrogation is not possible at the moment.” (CDF, Considerations Regarding Proposals To Give Legal Recognition to Unions Between Homosexual Persons, No. 10). So, the lesser evil here is to vote for, at least the partial repeal of an unjust law. For example, a politcian votes to repeal the recognition of homosexual marriage in a bill seeking to extend death benefits and the right of adoption of children for homosexuals. In this case, the poltician would clearly make known his opposition to homosexual marriage, would clearly indicate he is against the adoption of children by homosexuals, but would be in favour, for that same bill, to recognize some death benefits recognized to married and common-law partners to homosexual partners ? Choosing the lesser of two evils NEVER justifies committing the lesser of two sins. No sin is justifiable. The choice of the lesser of two evils refers to evil in the sense of the consequences of the action, choosing the act that does the least harm. Moral evil is sin, and the deliberate choice of any moral evil, whether lesser or greater, is never justifiable. It is sometimes permissible to tolerate physical evil (harm, suffering, disorder), in order to accomplish a greater good. For example, a physician amputates a limb to save a life. But it is never moral to do evil, even the lesser of two sins, in order to achieve a good end. Choosing the lesser of two evils NEVER justifies committing the lesser of two sins. But sometimes, we are faced with the following: I return from my gun club where I practice every week. On that day I witness the following horrific scene. A man enters a school with full of children and starts to shoot at will. I have to choose between two evils: transgressing ‘Thou Shall not Kill’ or let innocent lives be taken. The Magisterium teaches that “You shall not kill” is to be understood as prohibiting murder, but permitting killing in self-defense. And the same OT books that teach “you shall not kill” also require the death penalty for certain offenses. IN addition, the Hebrew word used in the Ten Commandments actually is the word for “murder”, not for killing in general. So your example is not the choice of a lesser sin. However, the death of anyone is a type of physical evil (harm, suffering, disorder). So, in the consequences of the act, killing a murderer to save innocent lives is the lesser of two evil consequences (1) a murderer dies, (2) many innocents die. Lying to Nazis to save Jews is not the only example of the choice to commit an intrinsically evil act as a means to the good end of saving one’s life. A direct abortion done for the purpose of saving the life of the mother is another example of an intrinsically evil act as a means to the good end of saving the life of a pregnant woman. 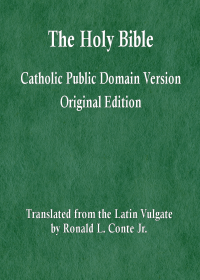 The teaching that direct abortion is always intrinsically evil and gravely immoral is found in Casti Connubii, Humanae Vitae, and Evangelium Vitae, and all of these documents also state that a direct abortion is still intrinisically evil and seriously wrong when the abortion is performed to save the life of the mother. In the Phoenix abortion case, a direct abortion was performed on a 27-year-old woman who was suffering from pulmonary hypertension as a means to save the life of the mother. The Phoenix abortion case is another example of committing an intrinsically evil act as a means to saving the life of the mother of the unborn child. Some doctors actually advise pregnant women to undergo a direct abortion when their lives are in danger and a direct abortion is not the only means available to saving their lives. In doing so, these doctors are violating medical ethics, lying to patients, procuring direct abortions, and formally cooperating in morally illicit abortion procedures. Through telling lies to these patients, these doctors are lying in order to save the lives of pregnant women, which is the same kind of sin that was committed when lies were told to Nazis in order to save the lives of Jews. Furthermore, these doctors are formally cooperating in and procuring direct abortions, and they are committing the same kind of sins that were committed in the Phoenix abortion case. It is never morally permissible to commit intrinsically evil acts as a means to saving the lives of innocent persons, whether by lying, direct abortion, or any other kind of intrinsically evil act.